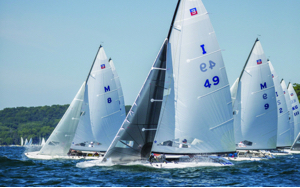 Last held on Lake Minnetonka 10 years ago, the E-Scow National championship will return to Lake Minnetonka in 2016 bringing top yacht racing skippers and crew. Racing will be Friday though Sunday, Sept. 9-11. Practice, registration and a welcome reception will be Thursday, Sept. 8 and the award ceremony will be Sunday, Sept. 11. “Lake Minnetonka is such a great showcase location for the E-Scow National Championships,” said Lon Schoor, Commodore of the National Class E-Scow Association (NCESA). “Our largest attendance ever was at a National Championship regatta at Lake Minnetonka,” he added. 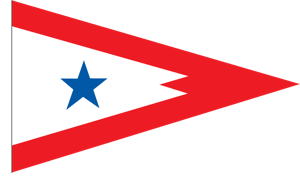 The four-day regatta will likely attract over 300 skippers and men and women crew from over 30 U.S. Midwest and east coast yacht clubs. As the country’s premier one-design yacht racing event of 2016, 75 top E-Scow skippers will compete on 28-foot yachts with a crew of four. “Having the opportunity to host a prestigious event like the E Scow Nationals is a very exciting opportunity for the Minnetonka Yacht Club and the Lake Minnetonka area,” said Excelsior’s Sam Rogers, regatta chairman.